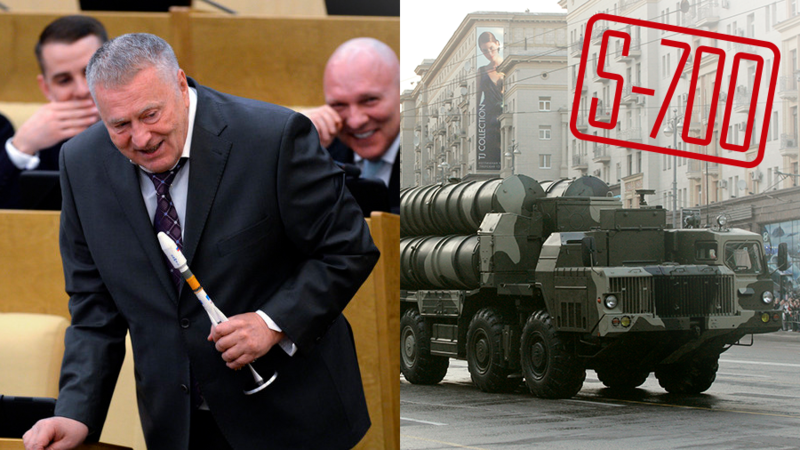 A leading Russian politician may have just revealed the biggest Russian military secret. Or just invented a non-existent weapon system while ranting about how powerful the country is during a political talk show. Vladimir Zhirinovsky, who is well-known for his explosive speeches and eyebrow-rising claims, made his latest one during a talk show last week. He said Russia should double down on its decision to supply the S-300 long-range anti-aircraft missiles to Syria. The bragging was met with laughter by other guests while the host, Vladimir Solovyev, intervened to joke that Zhirinovsky should be careful not to disclose all of the secrets at once. “What if you tell us about the terrible S-1500 system that we know nothing about,” he said. The politician heads the LDPR party, which holds 40 seats in the Russian parliament. He has a long record of eccentric behavior that apparently appeals to the party voter base. Despite the sometimes hateful and all too often insulting rhetoric, Zhirinovsky is mostly considered by critics a demagogue with a taste for crude jokes in place of policy ideas. At various times he suggested firing officials who weigh over 80kg, banning birds from migrating to other countries and allowing “seismic refugees” from Japan to settle freely in Russia’s Far East. The S-300 and the S-400 are two generations of Russian long-range air defense systems meant to protect strategically important sites like key infrastructure objects, military units or ballistic missile launch silos from enemy aircraft and missiles. An S-500 system is currently in development by Almaz-Antey and may have anti-satellite capabilities, according to open source data. The existence of any systems with higher index numbers is either a closely-guarded state secret that Zhirinovsky casually spilled to make a point or just a figment of his imagination.